Across much of Europe and the Middle East, evangelical Christians compose only 0.25 to 4 percent of the population. 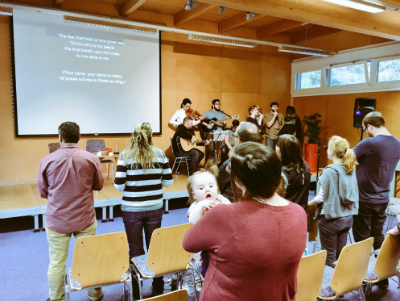 While young Christians in North American have been given the opportunity to experience worship and fellowship with thousands of other believers—such as IYC—many Christians across European and Middle Eastern countries have never been in the same room with more than a dozen young adults who share their faith. The presence, support, and comradery of other believers is often a breath of fresh air among those for whom isolation is the norm. 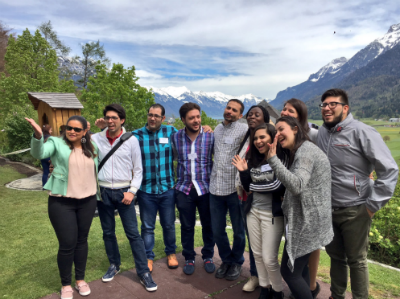 The second gathering of the Three Worlds Leadership Network commenced in beautiful Switzerland in early May this year, bringing with it that much-needed breath of fresh air. They came from Bulgaria. They came from Egypt. They came from France, Germany, Hungary, Italy, Lebanon, the Netherlands, Russia, Ukraine, and the United Kingdom. Less than two years after the first, popular demand had brought back the event, which had proved an enormous inspiration for young believers with backgrounds in places where Christianity is overshadowed, outpaced, or even outlawed. Christy Kihm, missionary to the Netherlands and a part of the Three Worlds team, explains. Photo: Several gathered for a quick video shoot outdoors. As attendees were reassured that there are others their age, who share their commitment to Christ, but have similar struggles, the hashtag #NotAlone began to accompany the group’s social media activity. Perfectly describing the sentiment of the event, it communicated the reality of a desperate need, as well as a refreshingly potent way to meet, that need. Photo: Six nationalities represented in the worship band! Other special guest leadership came from the United States, including Matt Anderson, lead pastor of McDowell Mountain Community Church in Scottsdale, Arizona; Joe Webb, worship pastor at McDowell Mountain; and Greg Weins, chief catalyst for Healthy Growing Churches. So, what’s next? 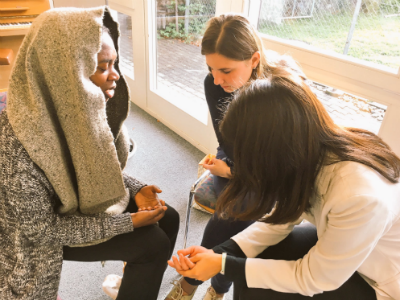 The team’s prayer is that the Three Worlds Leadership Network will be encouraged, knowing they are a part of a movement far bigger than what they know from their local context. The impact of the initiative is already being seen in young leaders who have expressed longing to gather together through regional conventions and youth camps. As an ongoing, active network, communication and encouragement among members is constant; smaller-scale gatherings also take place between the large-scale events scheduled every eighteen months. As a result, this younger generation of believers representing Europe and the Middle East is continually being strengthened. Though they may have felt alone a few days prior, thanks to the vision and hard work of Church of God missionaries and communities abroad, a group of young, Christ-centered leaders went away from this mountain-top experience knowing for sure that they are not alone. Learn more and support the ministries of Global Strategy by visiting www.chogglobal.org. This entry was posted in All Church of God, Global Strategy and tagged 3W, 3W Leadership Network, 3WLN, Audrey Langford, Christy Kihm, community, cross-cultural, Daniele Santonocito, Europe and the Middle East, Europe-Middle East, gathering, Global Strategy, Greg Weins, international, Joe Webb, Ken Oldham, Matt Anderson, Missionaries, missions, multi-ethnic, multicultural, multinational, Switzerland, Three Worlds, unity, young adults. Bookmark the permalink.